Products | Farmgate Honey Farmgate Honey Products Farmgate Honey | Bees are Sweet! We sell our natural liquid honey in 500gram, 1 kg, 3kg and 27kg containers. We can also fill larger bulk orders. Our honey is all natural and comes straight from our own hives. The flavour and variety will depend on the season and what plants yielded that year. Whether you want it for baking, cooking or simply to put on your toast and in your tea our honey is perfect. The taste is fresh and you can tell it’s straight from the hive. Our wax is all natural and from our own hives. We never add anything to it or cut it with chemicals. We process all our wax in house. 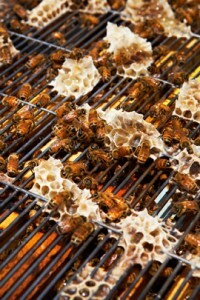 If you have seen comb honey in a restaurant bar nearly anywhere in the world there is a good chance it was ours. 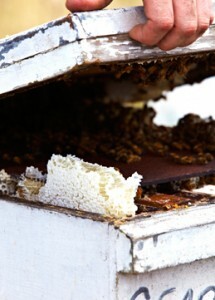 Our comb honey comes in half depth and full depth frames and yes you can eat the wax! Simply dig your knife in and enjoy! During winter when the bees are quiet we deliver quality western ironbark Using our knowledge of trees we provide the Brisbane area with the best aged ironbark available. 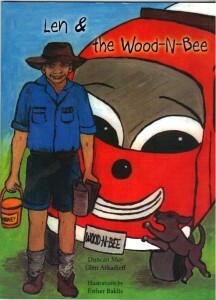 Head to brisbaneandloganfirewood.com.au for more information.